It’s December, so the stockings are hung by the chimney with care. There’s lots of excitement and the flurry will continue until we ring in the New Year. There’s lots of shopping, joy, and laughter, but under it all there are likely some feelings of stress. For a variety of reasons, the holidays can bring on the most stress or anxiety we have ever felt. Stress creeps in in a variety of ways including socially, emotionally, financially, spiritually, and physically. Even though no one is guaranteed a stress-free life, there are steps we can take to reduce stress, especially around the holidays. There are so many things to accomplish during the holidays such as decorating, shopping, cooking, dressing up, or finding the perfect ugly sweater. Social media, magazines, and TV tell us just how “easily” we can accomplish these things if we simply follow their plan to perfection. Unfortunately, this marketing can lead to unrealistic expectations in our own lives. Reality check: No one is perfect! Most of us do not find the perfect gift for everyone on our list or flawlessly prepare an entire dinner party menu. Instead of expecting the impossible next time plans are made, set realistic expectations for the things that are most important to you and your family at Christmas. Find joy in making these priorities special. For example, if mashed potatoes are the one menu item you’re looking forward to the most, focus on making that recipe the best it can be. Then ask others to bring additional menu items to reduce your cooking burden. When it comes to gifts, put thought into choosing items that your friends and family will know you took time to intentionally choose for them. Then get a gift receipt, just in case. As the holiday invitations begin coming in, you may start to feel overwhelmed as the white space on your calendar quickly disappears. Let your values determine the events you attend. An invitation is not an obligation, so don’t attend simply because you “should” or because others expect it of you. Focus on the events that you truly care about and make those your priority. Also, focus on the people with whom you want to spend the holidays. We were created for community, to share our burdens (Galatians 6:2), to invite the Holy Spirit in (Matthew 18:20), and to be better than we are alone (Romans 12:4-5). Attend the gatherings that are most meaningful for you and will allow you to truly celebrate Christ. Enjoy each moment. Take time to slow down and remember the reason for Christmas. Appreciate the fellowship of friends and family you may only see at the holidays. Merchandise! Sadly, Christmas has been commercialized and there are so many things we can buy. While opportunities and goodwill abound, overspending can still cause financial stress and family arguments. Decrease the chance of stress or fights by discussing and setting a holiday budget with your family. Decide how much will be spent on special food, new clothes, gifts, travel, etc. Do the best you can to set a realistic budget that everyone can commit to following. The goal is for your family to enjoy giving gifts and other traditions, while also avoiding spending stress. When setting a budget, start by writing down your monthly income and your monthly expenses. Then determine how much remains to use for Christmas. 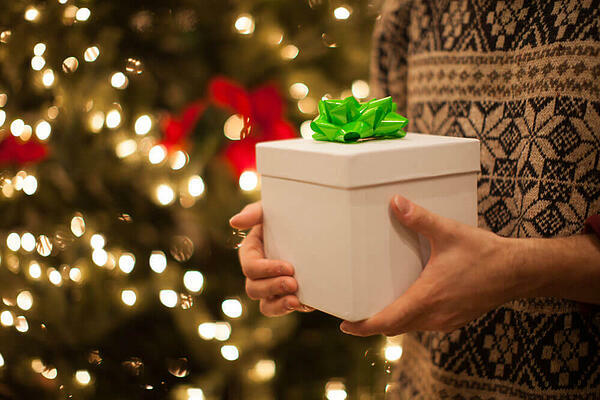 Write down all the people you plan to give gifts to and determine how much you will spend on each person. Make sure the total is not more than the amount left in your total budget. As you buy gifts, track the actual amount spent on each person to ensure you are sticking to your budget. This template may help you set a Christmas budget. Some things will inevitably be out of your control and it may feel chaotic. As with all things, we can look to God for support and guidance. Especially when things look uncertain and frightening, remember God desires a relationship with you. He longs for you to lean on Him through all circumstances. He wants you to come to a place where you can find refuge in him (Psalm 46). 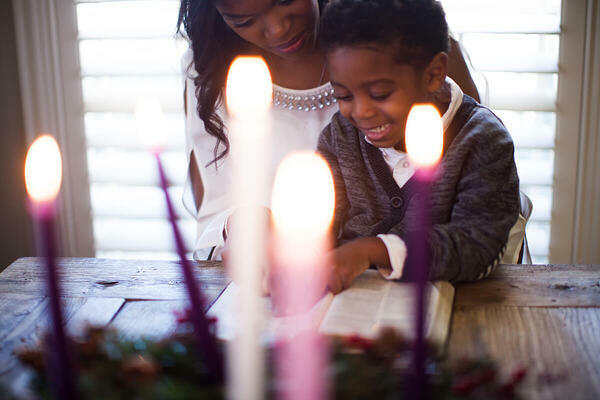 When the holidays seem particularly overwhelming take time to pray, listen to worship music, or do whatever it takes to connect with your heavenly Father. Remember that even with all the things Jesus had to do, he did not neglect his relationship with the Father (Mark 1:35). It might sound silly, but especially during the holidays when we are supposed to be merry, many people put on a mask and hide other feelings. It’s normal and okay to have other feelings during the holidays, even if you are less than cheerful. If you have lost a loved one, or cannot be with those you love, you may feel sad or lonely. It’s important to acknowledge your feelings, whatever they may be. If you find that you are feeling grief, isolation, or depression, reach out for help. Your church is an excellent place to start. They may have services, events, or groups you can join that offer support. Look for opportunities to volunteer. Volunteering is a chance to reduce loneliness and build community, but also helps to place your focus on someone else. You can find joy, purpose, and a sense of fulfillment by using your God-given talents to help others. This may be exactly where God wants you to be this Christmas – impacting His Kingdom. Exercise. Most of us know we should do it, but it’s so easy to skip when life gets busy and the holidays are definitely full of activities and commitments. Exercise is important, though. Not only does it help us stay physically healthy, but it also has the power to keep us mentally sharp. Exercise is a natural stress reliever, so when the holiday stress starts to settle in, instead of skipping exercise entirely, adjust it. Even 5-10 minutes of walking between parties can help reduce stress. Walk with family and friends as a way to fellowship or walk alone to gather your thoughts, breathe deeply, and regroup before heading into the next event. Despite the chaos of the holidays, try to keep some areas of your life consistent. Think about the daily rituals that form your routine and help you feel happy and grounded. Can you stay consistent with all of those things during the holidays? It’s reasonable if the answer is no. Instead of trying to do everything, pick a few things that you can come back to each day or week to return to routine and feel more like yourself. When things feel like a whirlwind, come back to these habits. Then, when you are feeling a bit more grounded, return to the festivities of the holidays with joy. This Christmas, give yourself the gift of less stress. Lower your holiday expectations; things won’t always be perfect so don’t be too hard on yourself! Your life is not an accident. Rest in God, knowing He is in control and you can trust Him.